Can allergies and asthma be caused by yeast and fungi? Keep reading, the answer may surprise you. Asthma is a disease that, in most cases, the cause is "unknown." Some cases can be traced to some kind of airborne substance like cement dust, or an inhaled chemical damaging the lungs. But yeast and fungi can also cause allergies and asthma. Another possible "cause" of asthma is said to be acid reflux, which is acid from the stomach going back up the esophagus and back down into the lungs causing irritation. Allergic reactions to foods are a definite cause of asthma in many people. Food allergies can cause numerous respiratory symptoms including: asthma, cough, nasal congestion, excess mucus production, hoarseness, postnasal drip, tonsillitis, sore throat, sneezing and stuffy nose. Food allergens can be broken down into two categories: Immediate and Delayed. It is the delayed or hidden food allergens that erode away ones health, frequently going undetected since the response is not immediate but rather delayed up to 72 hours, long after the offending food(s) were ingested. Patients experiencing delayed (IgG) food sensitivities will experience a worsening of their environmental allergens. Thus, identifying and controlling food sensitivities is essential. The only way to identify these allergies to foods is to be tested or see a doctor Like our own Dr. Taylor that specializes in NAET. In many cases childhood asthma goes away as an adult. What happens is you become less sensitive to the allergen from the constant exposure as you age. Typically sinus allergies are related to pollen's from plants, but as you will read below, airborne fungi play a big role. Can Yeasts Cause Allergies and Asthma? Systemic yeast infections can cause chronic yeast allergies and asthma creating respiratory distress which affect over 50 million Americans yearly. 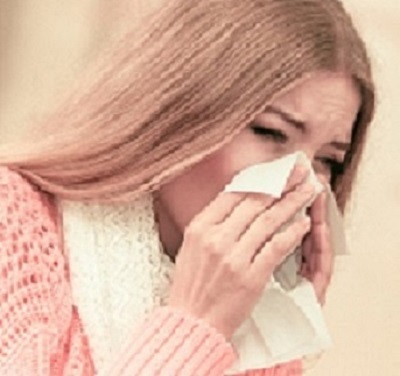 These allergies have an "unknown" cause according to modern medicine. For 50 years, modern medicine has been touting one form or another of new therapies, breakthrough therapies, and smarter drugs. Funny thing is, prior to 100 years ago, these health problems were relatively unknown. Then came the theory that bacteria is the cause of disease, the introduction of antibiotics to combat this bad bacteria, and the resulting destruction of good bacteria in the body. In the American Journal of Respiratory Critical Care Medicine 1995, Kaufman states that "fungus has the ability to colonize the lungs and induce an inflammatory reaction".1 Resulting in asthmatic reactions called fungal asthma. Dr. C. A. Kaufman states "each year in the US the fungi Histoplasma capsulatum, Blastomyces dermatitidis, and Coccidioides immitis cause more pulmonary infections than bacteria." C.C. Kibbler (1996 Principles and Practices of Clinical Mycology) says these fungi "routinely infect persons with apparently normal immunity." Dr. C. Orion Truss, a pioneer in the study of systemic yeast infections and their relation to diseases and symptoms, states in his book (The Missing Diagnosis 1985) that "once the mucous membranes become inflamed by their allergic response to yeast products, infection begins to occur with great regularity at random sites from the nose to the lungs." Professor R.J. Hay (2)(Fungal Infections-Manson's Tropical Diseases 1996) states that "hay fever or asthma due to molds like Aspergillus, Alternaria, and Penicillium account for up to 15% of respiratory allergies." That translates into one in six people's allergies are being caused by fungi. It seems to me that if I suffered from allergies or asthma and could find no relief from modern medicines, then a month on the Candida Yeast Diet and the correct natural supplement or two would certainly be worth a try, wouldn't it? Let me know if you try it how it works for you if you would please, just contact me from the form on the contact page. If you have any questions about yeast allergies, asthma, or systemic yeast infections or yeast infection in general, you can use the form on the contact page. 2. Professor Roderick Hay trained in dermatology at Guys Hospital, the St John’s Institute of Dermatology, London and The London School of Hygiene and Tropical Medicine.